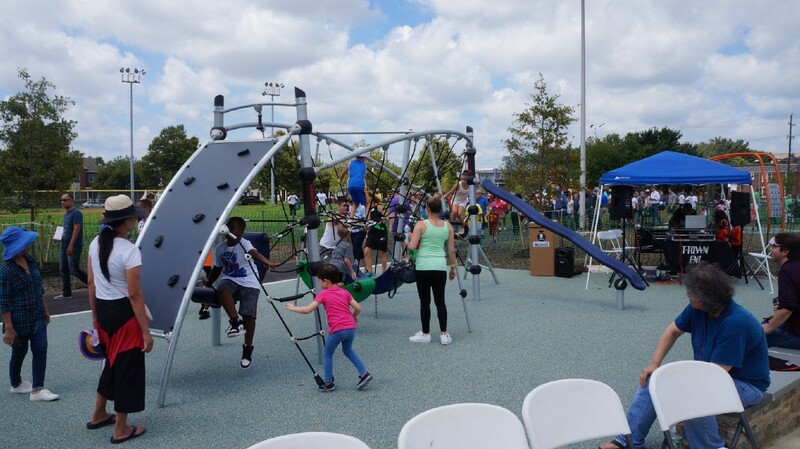 The playground’s improvements include a renovated field, a new walking trail, fitness zone, a dog park, stormwater management, and transform the space into a multi use, multigenerational playground. City Councilman Kenyatta Johnson cuts the ribbon at the grand re-opening of the Lanier Playground in Grays Ferry. 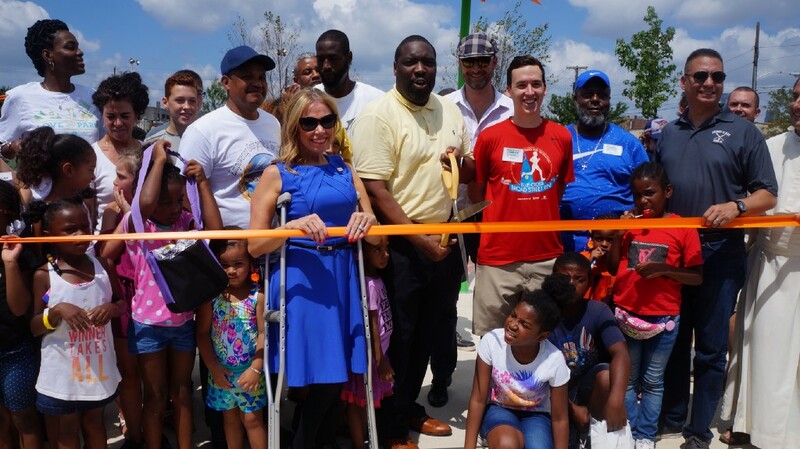 After an 11-year hiatus, Grays Ferry’s Lanier Playground re-opened with a bang this past Saturday, marking the completion of a three-year-process to get the park back in working order. Children play on one of the new jungle gyms at Lanier Playground in Grays Ferry. According to Debra McCarty, Commissioner of the Philadelphia Water Department, the park was built with environmentally friendly stormwater management in mind. 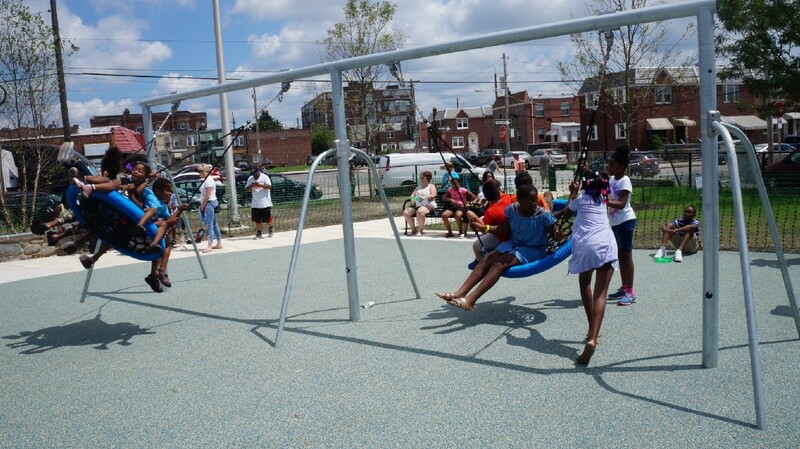 Children play on the new swings at Lanier Playground in Grays Ferry.